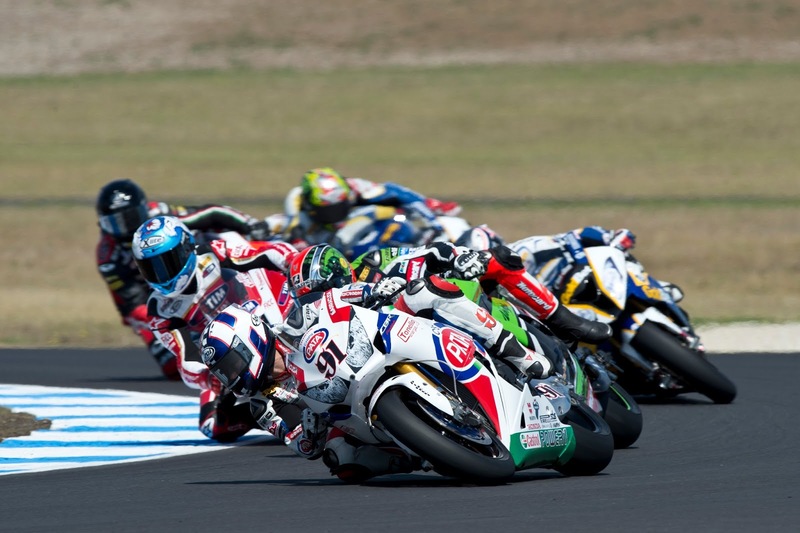 The PATA Honda team’s riders of Leon Haslam and Jonathan Rea have reflected on a weekend of mediocre results from Phillip Island. In race 1, despite Haslam getting a rocket start from the third row of the grid, running as high as third at one point, toward the latter end of the race he struggled and brought it home in 7th. Rea had a generally difficult race, not getting the start he’d have liked and spent most of the race battling with Leon Camier for positions just inside the top ten, he finished 8th. Haslam got a slower start in race two and became tangled up in the incident between Loris Baz and Chaz Davies, sending him onto the grass – he rejoined in 16th place. Haslam fought through the pack to finish 10th. Rea had got a better start in the second race, there were times when he was close to the front group however as the race went on he disappeared backwards, again finishing 8th in his 100th WSBK race start. Haslam said: It’s been a bit of a disappointing day. We had some issues that we couldn’t overcome in race one and I ended up heading backwards. It felt like I had the pace to challenge for a rostrum but I was held back in a couple of areas. In race two we made some positive changes but I had a bad start and then got caught in the melée with two other riders crashing out down at the MG hairpin on lap one. I lost around 10 or 11 seconds that would have allowed me to battle for third or fourth again if I hadn’t lost that time. There are a lot of ‘if’s and ‘but’s, and we’ve got a lot of work to do in this next month to try to resolve a few issues. Rea said: It’s been a strange weekend, and it’s frustrating for us all to look at the classifications and see where we are because I don’t feel that it’s a true reflection of where we deserve to be. On the other side of that, it’s clear how much effort we’re going to have to put in to make the electronics better. It’s our main problem right now because back at the team’s workshop we found a little bit of power for the engine for this event and I know there’s another plan to develop that. It’s clear we need to make a couple of steps forward and bypass where we were the electronics last year. I feel there’s a light at the end of the tunnel though because I’ve already got some positive feelings with the new system. There are just a few inconsistencies when getting on the throttle with the traction control cutting in and holding back the engine. We made some positive steps with the bike between race one and two, and we’ve got a three-day test at Aragon, which we really need. Two finishes is always the aim for the first race, but we leave here still with work to do.